How are you all doing? I hope you're in the middle of a superbly creative week? I'm feeling super excited about this post, as it's the first time that I've made an "unboxing video"! A video of me taking a product out of the box for the first time. I'll be giving you my opinion and impressions about the product, which I hope will not only inspire you along your creative paths, but give you an informed and objective view of some of the products available to us as crafters and crocheters. 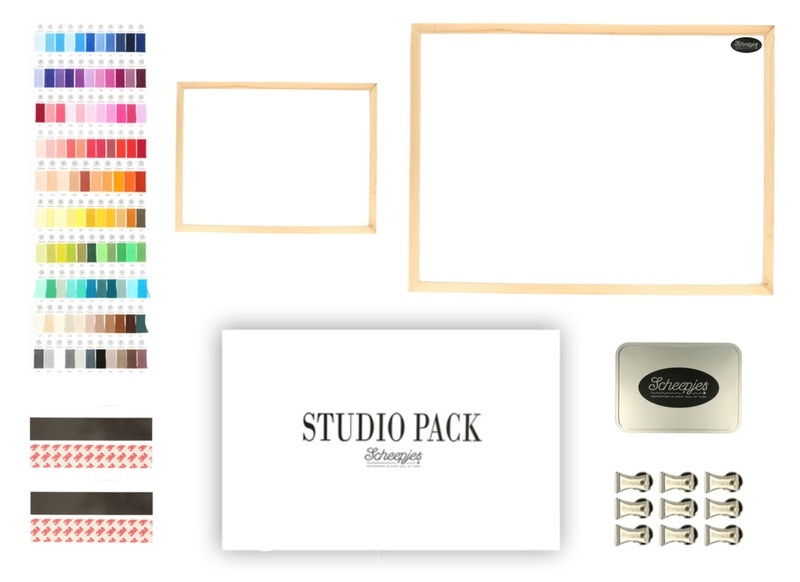 Today....as it's my first "unboxing" I thought I'd do something rather special......I'm taking a look at the totally awesome....Scheepjes Studio Pack! (109 X 10g balls) with matching shade cards. I guess it goes without saying that the studio pack is pretty awesome!!! A perfect gift for any yarn hoarder/ Enthusiast. The pack would make for an amazing present! Something a little individual and unique! It's something that any creative mind would think the absolute world of! 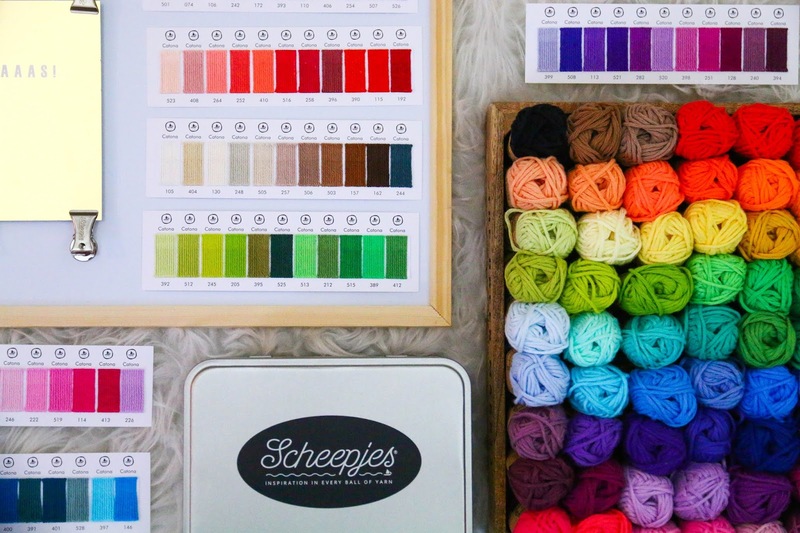 How do I get my hands on a Scheepjes Studio Pack? 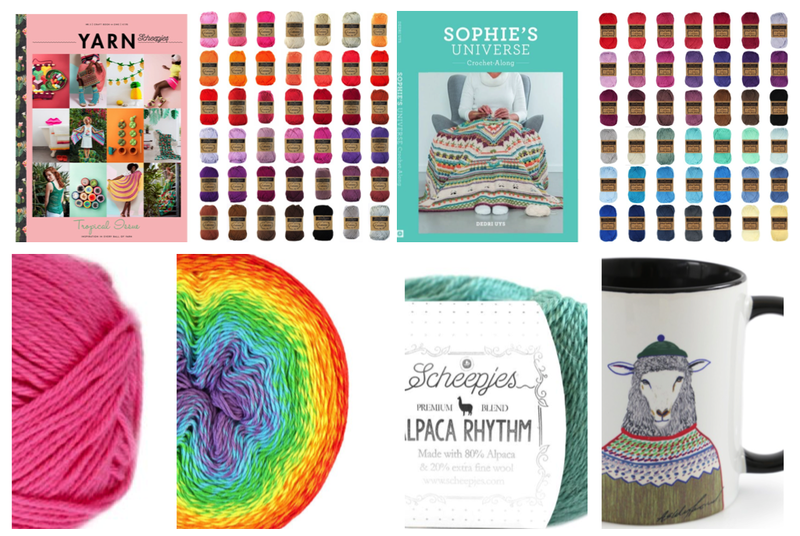 For stockist of Scheepjes products you can follow the link here to take you to the Scheepjes store locator. 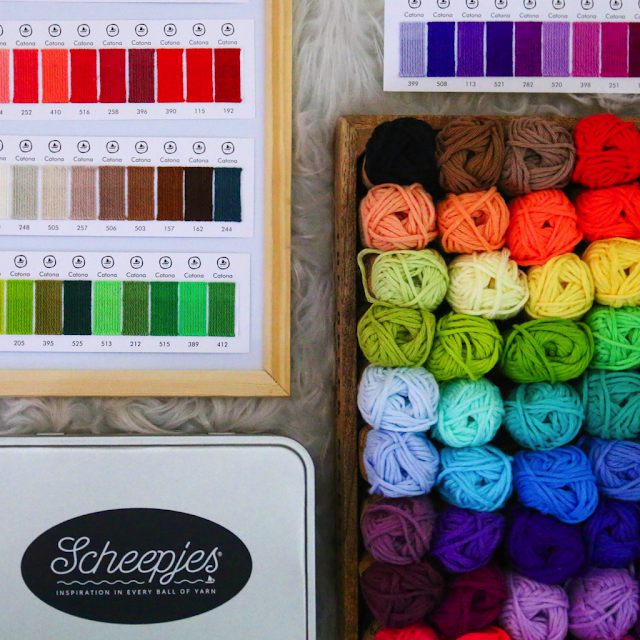 Find the Scheepjes Catona Studio pack here at the Wool Warehouse website. Well....That was pretty fun! Taking a look at a new product and giving it a review. I hope you found this video useful? Like I mentioned in the video, I plan on doing these unboxing videos quite frequently, so that we can take a look together at some of the cool crafting products available on the market. I'm also going to get stuck into doing a few book revues....so stayed tuned! Have a lovely rest of the week hookers! Nice video, 10 kudo's for your pronounciation of Scheepjes! I love it! I might just have to get myself a studio pack. I just need to make room. Your video was very informative. I love how excited you are about yarn/crafting. Your studio looks amazing. Can't wait to see your next video.